There is still space available on the Thanksgiving Retreat and registration will remain open until we have a waiting list. If you already applied you will receive a formal confirmation from the retreat manager, Hitesi (hitesi3@gmail.com), in August. Please do not make travel arrangements until you receive this confirmation. To apply, mail your deposit and registration to Paul Friedlander as indicated on the application. The retreat will be held from Saturday afternoon, November 17th, through Sunday morning, November 25, 2018, at the Mount Madonna Center in Watsonville, California. 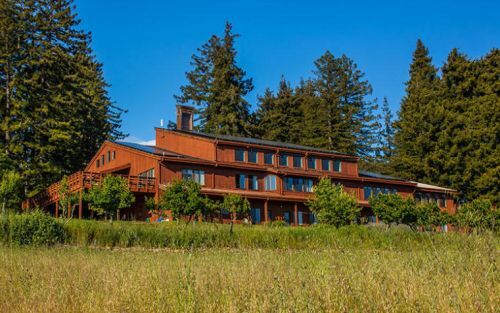 It’s a beautiful spiritual retreat center on a mountaintop setting and the closest airports are San Jose (45 miles), Oakland and San Francisco (both about 75 miles). Because of the length of this retreat and the adherence to the Eight Precepts, you must previously have sat at least one five-day meditation retreat. Retreatants are requested to attend the entire retreat, from registration 10:30am-noon to the closing ceremony on Sunday morning approx. 11am. The facility is wheelchair accessible. We are unable to accommodate special dietary or environmental needs. We will eat a light breakfast and, in keeping with this monastic tradition, the daily meal (vegetarian) is eaten before noon; there is no evening meal or use of kitchen. Incense and candles are used at the morning and evening chanting periods. Note that this is a double-occupancy rooming setup (there are only a few single rooms available for elders and those with serious medical conditions). This is a beautiful center with very comfortable accommodations, but no camping/trailers possible for our retreat. The retreat will be offered solely on dana (freewill donations); there is no set fee. (We do wish to make known that the new location is charging significantly more than the Angela Center did in past years – approximately double the cost). Registration/lottery will remain open into August or until there is a waiting list, and applicants will be notified mid-August. Please note: no deposit refunds after October 1, 2018. This is a new policy for us, because Sanghapala is financially committed even if there are cancellations. Thank you for your understanding.